Today I'm introducing a new type of post that I will be adding to my blog. The SHORT SMOKE post idea came about from the late night cigars I've been smoking recently, always in the dark on my beck deck. I smoke a lot of cigars at the end of the day, when I want to relax and maybe E-Herf with a few BOTL on tokbox. I'm in no mood to do a full review and, a lot of the time, I'm not really paying 100% to the details of the cigar so a full review wouldn't be fair. 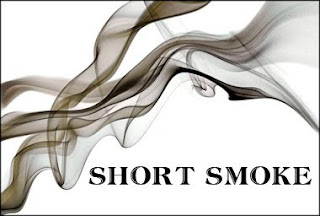 So in the SHORT SMOKE posts I plan on just telling you a bit about what I thought of the cigar, maybe some flavors that stood out, and maybe just my overall experience smoking the stick. These posts will be short in length and may or may not include pictures. I still plan on doing my full reviews on a regular basis, but these SHORT SHOKE posts will pop up here and there. I hope they are easy to read and my readers will enjoy just brief descriptions of what I'm smoking.